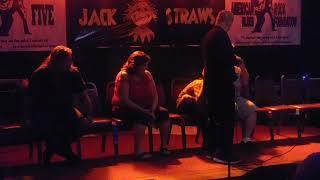 Gary Conrad is one of the most skilled and experienced comedy-hypnotists working. He has consistently amazed audiences from Alaska to Florida with his hilarious shows. He has become a regular at many "A" room comedy clubs; colleges & high schools; military installations; and corporate & charitable events across the country. Gary Conrad was born in Elizabeth, New Jersey. After receiving his degree from Furman University in Greenville, South Carolina, he worked as a stockbroker in New York City . He followed that with a very successful eleven-year stretch in the shipping business, working in both New York and Los Angeles, while an officer in the US Army Reserve. Gary began his journey into hypnosis in 1980 in order to better condition himself during his physical training. He learned that through control of his mind, he could maximize his workout abilities. This ignited a passion for hypnotism that continues to this day. After several years of study, Gary began hypnotizing people clinically in a World Trade Center office and eventually moved to the stage. He has hypnotized thousands, from retirees to British nurses to bikers to New York policemen to college students. His shows are among the most popular that many comedy clubs host. Oftentimes, the same people come back two and three times in one week to attend. Also, while traversing the country, Gary has become popular on radio and television programs in many different markets. He works non-stop...year round, registering more than 400 appearances during some years.